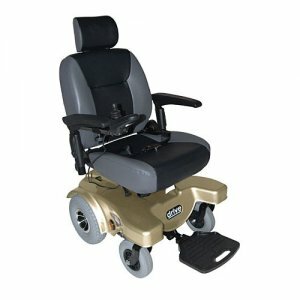 The Gold, 22" Sunfire General Power Scooter by Drive Medical comes standard with a swivel, Captain's Seat and has a weight capacity of 500 lbs. The adjustable, 45 degree infinite position reclining back, adjustable height, width and angled arms as well as the adjustable height headrest ensures a comfortable fit for most individuals. The 13" rear, non-marking tires, 10" flat-free tires and fully adjustable tension suspension ensures a comfortable ride. The Sunfire General Power Scooter comes standard with dual 5" anti-tippers, on board charger and batteries. 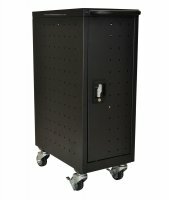 Has been tested and surpassed the ANSI RESNA testing requirements, providing our consumers with added security. If you're looking for added product protection, purchase the additional warranty coverage by adding Drive Medical's Piece of Mind protection to your scooter. Adjustable 45degrees infinite position reclining back. Adjustable height, width and angled arms. Comes with adjustable height and angled footplate. Peace of Mind 1 Year Service Plan (available). Product Weight (with/ without battery): 170 - 217.8 Lbs.